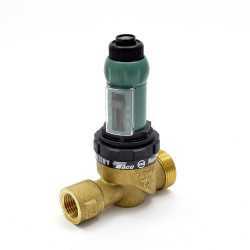 Pressure reducing and regulating valves, as the name implies, regulate and reduce pressure in a hydronic system. Canarsee carries valves by Zurn and Taco. The 3350-T3 from Taco is a 1/2” Threaded Pressure Reducing Valve, Cartridge Style, 10-50 psi. It's u.. The 34-NR3XL from Zurn is a 3/4” Pressure Reducing Valve 15-75 psi (Lead-Free). Designed for install..
Zurn (Wilkins) NR3XL Model is Residential Pressure Regulator. Designed for installation on potable w..